CRU 11 Yorkville Condos - Maziar Moini Broker Home Leader Realty Inc.
Cru 11 Yorkville Condos is a new condominium development by Capital Developments & Metropia Urban Landscapes & RioCan Living currently in pre-construction located at 11 Yorkville Avenue, Toronto in the Yorkville neighbourhood with a 100/100 walk score and a 97/100 transit score. Cru 11 Yorkville Condos is designed by Sweeny and Co.. The project is 62 storeys tall and has a total of 716 suites. 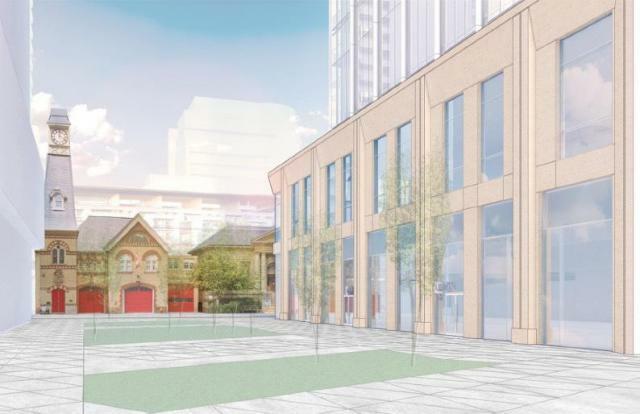 Joining the luxury high-rise boom in this upscale neighbourhood, this new development offers a mix of retail, office and residential space. If you’ve always wanted to invest in this coveted pocket, now is your chance. Take advantage of a world-class shopping and dining district in high demand by the city’s most refined professionals. 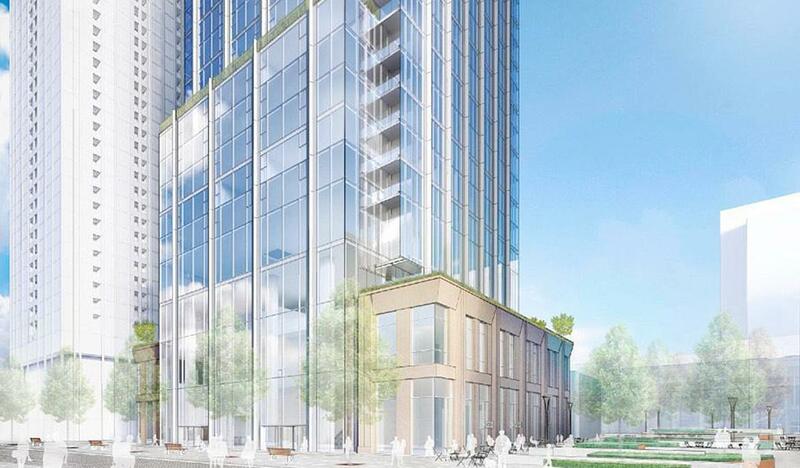 CRU 11 Yorkville Condos is a pre-construction condominium development in Toronto’s Yorkville neighbourhood proposed by Metropia, Capital Developments and RioCan. The condo project has yet to confirm an occupancy date, so be sure to register with us for all the latest information. Sitting just steps west of Yonge Street north of Bloor, this site is home to a commercial complex. 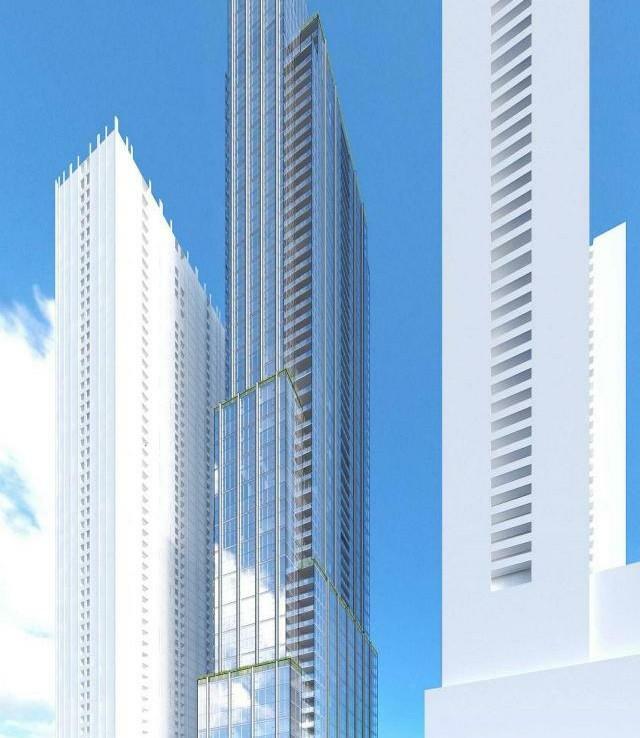 In its place, the developers have proposed a mixed-use tower standing approximately 62 storeys high. Details about unit mix and amenity space have yet to be released, but given the building’s location, we’re expecting some truly lavish living spaces. Amenities here tend to be impressively high-end, with similar sites featuring perks like hot and cold plunge pools, expansive rooftop terraces, outdoor theatres and fully-equipped fitness centres. RioCan, an established name in the commercial market, will likely be handling the retail and office sector of the building, which we’re anticipating will include space at street level for an upscale retail tenant. The subsequent development team, with their impressive portfolio of urban high-rises, will likely produce a series of contemporary units with designer finishes and touches of opulence. 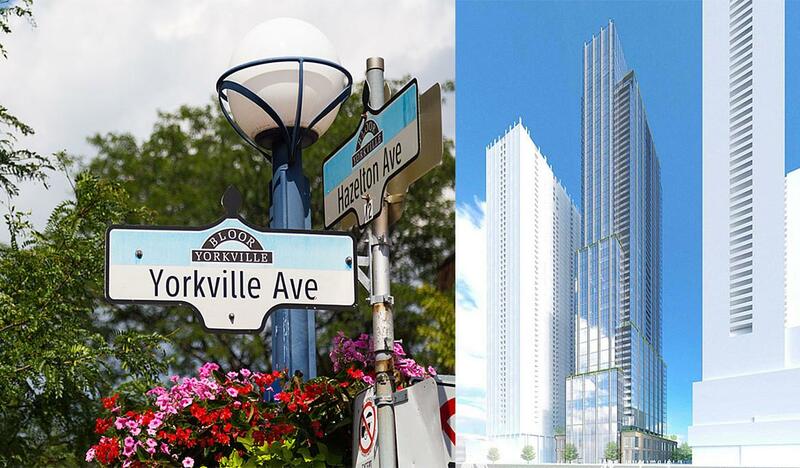 Yorkville condos are part of a dynamic and dazzling neighbourhood. Perhaps most well-known for its globally-recognized Bloor Street, which features a stretch of high-end labels including Chanel, Gucci and Holt Renfrew, many people consider this neighbourhood the pinnacle of luxury living. It’s a place where there’s no shortage of five-star restaurants, upscale salons and art galleries, yet somehow it still retains a welcoming feel. Sleek high-rises – both residential and commercial –populate the neighbourhood, with many more either under construction or in the proposal stage. At the center of this Toronto neighbourhood is the Yonge and Bloor intersection, easily one of the city’s busiest. It’s also one of the only intersections in the city to provide subway access in all four directions, making it an easy starting point for those commuting either downtown or uptown. In fact, the site of the condominium scores a perfect 100 on its Walk Score and a 97 on its Transit Score. Talk about being in the center of everything! Sign Up To Receive Details, Information And Updates About This Project Today!